This fall Caroline and her boyfriend Adam came down for the weekend just to visit and touch base with some old friends. They had two brand new babies to see, a dinner out, and a brunch celebrating an anniversary, but still managed to spend a fun Saturday with us. Caroline wanted to do something that involved a pumpkin patch and picking apples so I got on the internet and found a place that had both. 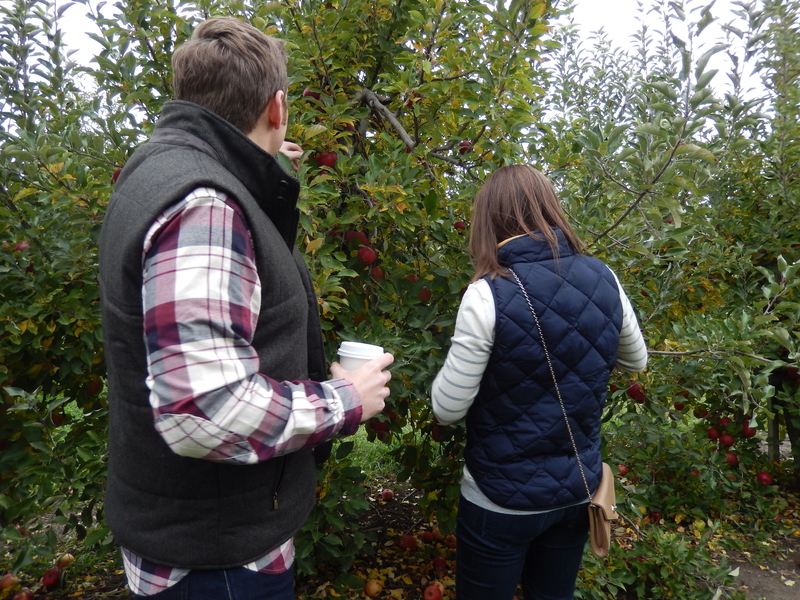 The first thing we did when we got there was pick out pumpkins, but after we stowed those in the car, we headed out to the apple orchard. We found the Jonathan grove and went to town. 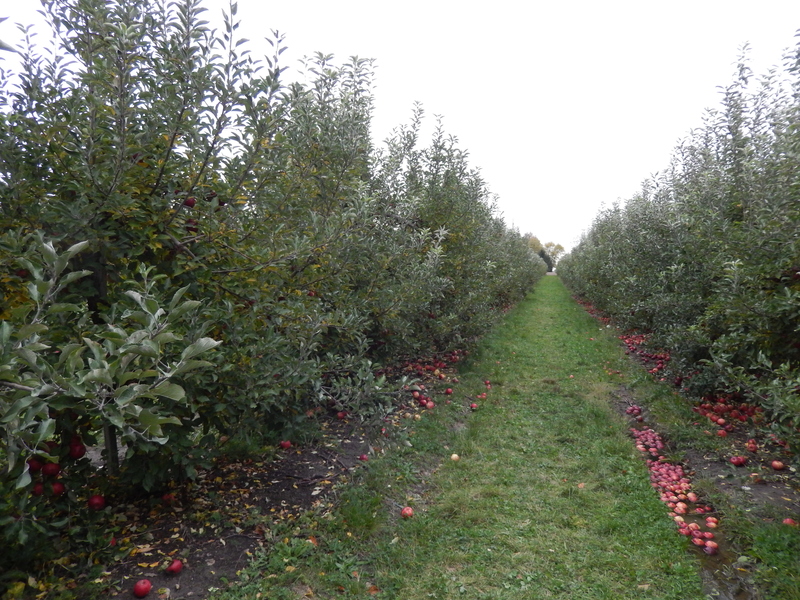 I ended up with over a bushel of the freshest apples ever and we had a scrumptious “Tree to Table” or “Orchard to Oven” apple crisp that night. A link to the recipe for this simple yet so yummy crisp can be found by clicking HERE . 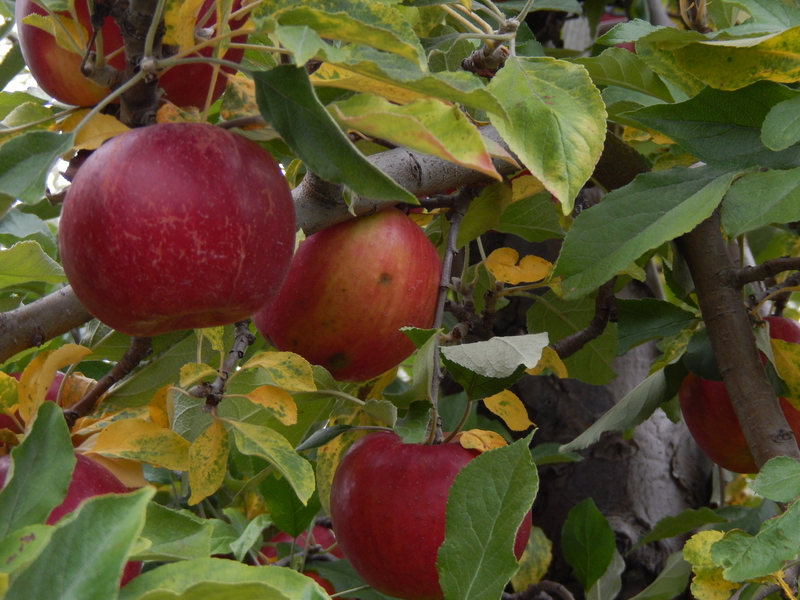 Later that week, I took the remaining apples to Aunt Robin’s house and we spent the whole day making and canning apple sauce. She uses a pressure cooker, which I don’t have any experience with, to make it go faster. 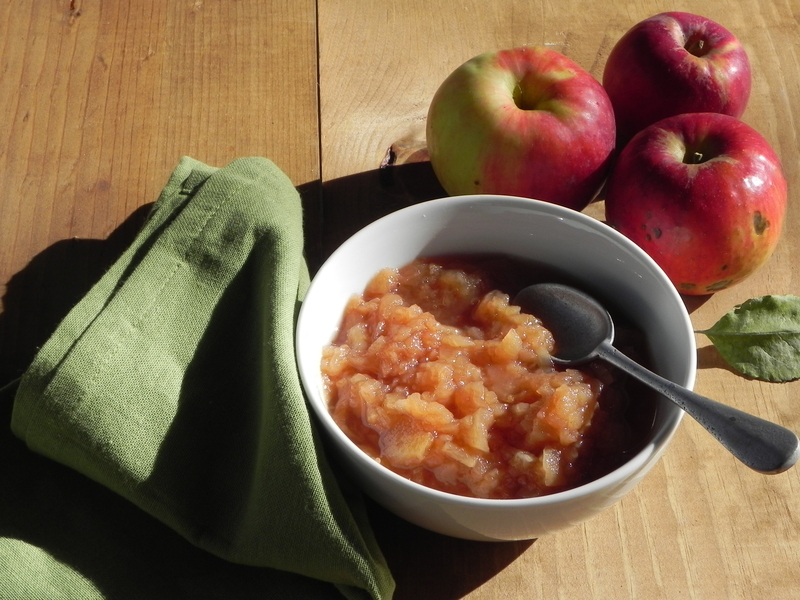 For a link to making applesauce via a pressure cooker, click HERE. 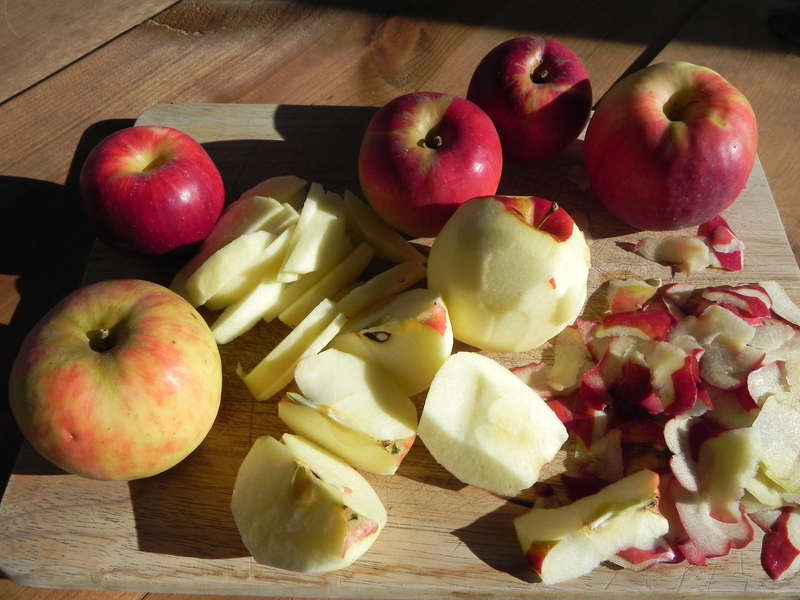 The most time consuming part was peeling the apples, but once we did that the rest was smooth sailing. After the apples were sauce, Robin showed me how to water bath process them in order to preserve them them for months to come. 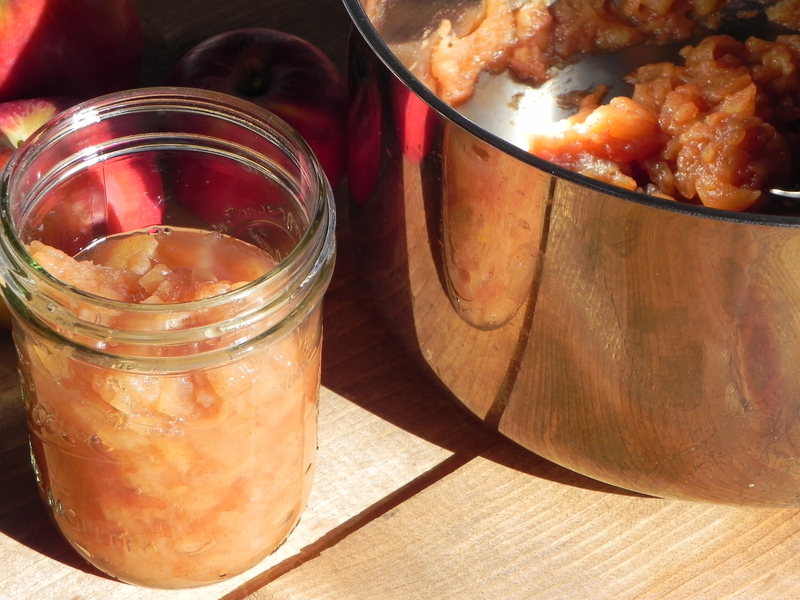 This post will only include a recipe for a small batch, but click HERE for steps on canning applesauce. 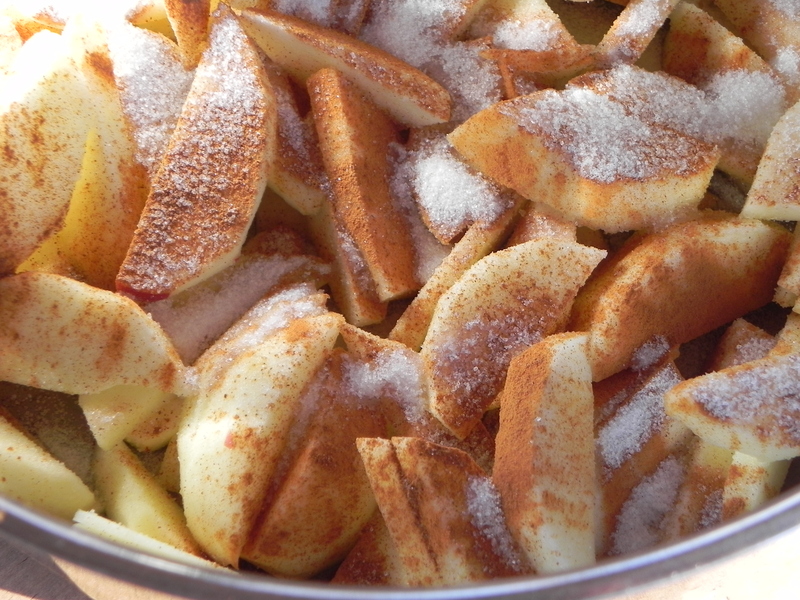 Place the apples, sugar, cinnamon, water, and lemon juice into a large pan. Combine the mixture and bring it to a boil. Turn the heat down and let everything simmer for 25 minutes or until the apples are soft. 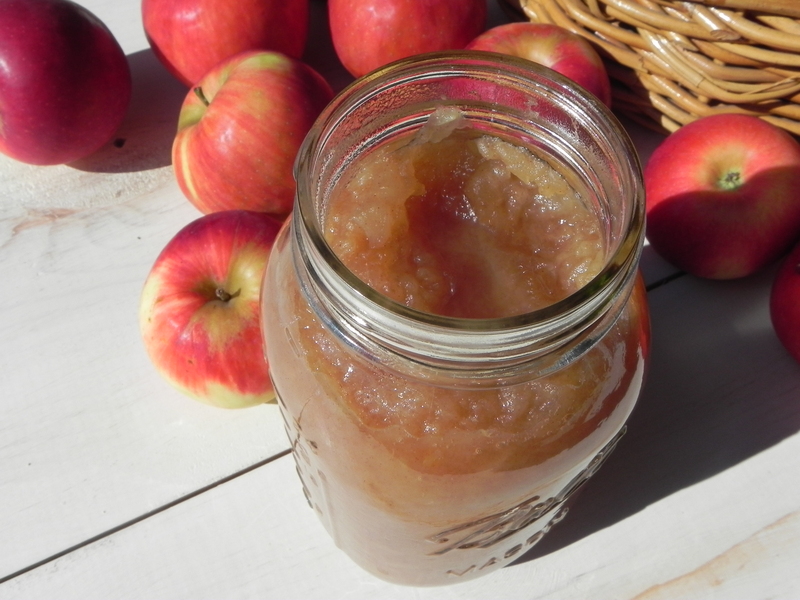 Give it a good stir to break the apples apart, yet letting the applesauce maintain a chunky texture. At this point, many people put applesauce through a food sieve or blend it in a food processor until it’s totally smooth, but I enjoy the texture! Spoon it into containers or jars. It will keep in the refrigerator for a week or process it as Aunt Robin does. It can also be frozen. On the Ball Mason Jar website cited above, it stated that it was alright to freeze the pint jars, but not recommended for the quart sized ones. However, the best thing to do is eat it right away while it is still warm! It is also great over ice cream. Allison always loved it heated up in the microwave and spooned over ice cream – Yum!